Dr. Jackson is Medical Director, Robotic Surgery, Baylor Medical Center, Garland, Texas. Dr. Tran is Associate Professor, Department of Obstetrics and Gynecology, University of California, Irvine. Dr. Advincula is Professor and Vice Chair, Women’s Health, and Chief, Gynecology, Department of Obstetrics and Gynecology, Columbia University Medical Center. He also serves on the OBG Management Board of Editors. Ms. Wiercinski is Women’s Health Clinical Care Coordinator, Celebration Health, Celebration, Florida. Mr. Lopez is Prinicipal, Video Source Imagery, Inc, Orlando, Florida. Dr. Advincula reports being a consultant to Blue Endo, CooperSurgical, Intuitive Surgical, and SurgiQuest and receiving royalties from CooperSurgical. The other authors report no financial relationships relevant to this article. 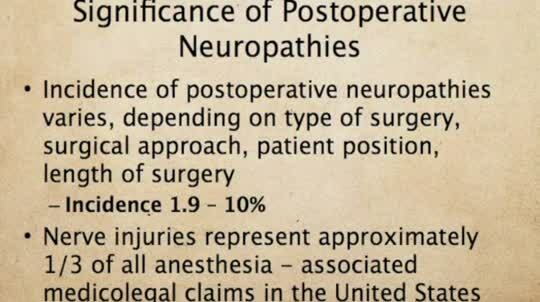 Appropriate patient positioning for laparoscopic and robotic surgery can help prevent postoperative neuropathies. This case-based video describes techniques and tips used by Dr. Advincula and team. In this comprehensive educational video we review appropriate patient positioning for laparoscopic and robotic surgery to prevent postoperative neuropathies that can be experienced with gynecologic surgery. We also include a case-based review of injuries specific to the brachial plexus, ulnar nerve, and femoral nerve. Our technique involves the use of a bed sheet, an egg crate foam mattress pad, and boot-type stirrups. We recommend setting up the operating room table to facilitate tucking of the patient’s arms and to prevent slippage of the patient when she is placed in steep Trendelenburg. For all steps involved, see the video. Use of a single bed sheet placed across the head of a bare table with an egg crate foam mattress pad over the sheet to prevent the need for strapping the patient to the bed or the use of shoulder braces to prevent slippage. For low dorsal lithotomy positioning, flex the patient’s hips with a trunk-to-thigh angle of approximately 170°, and never more than 180°. For arm tucking, remove the arm boards and excess egg crate foam from the patient’s side and placecushioning over the elbow and the wrist. Keep the patient’s hand pronated when tucking and do not allow the arm to hang over the side of the bed. If the patient is obese, support the tucked arm by placing the arm boards beneath the arm parallel to the bed. Next month we continue our series on surgical techniques with a video on why choosing the proper colpotomy cup is critical for successful minimally invasive hysterectomy. Will you be joining me at the AAGL Global Congress on Minimally Invasive Gynecology in Vancouver this November? Safe patient positioning for minimally invasive surgery and other exciting topics will be discussed. Visit www.aagl.org/globalcongress for more information.